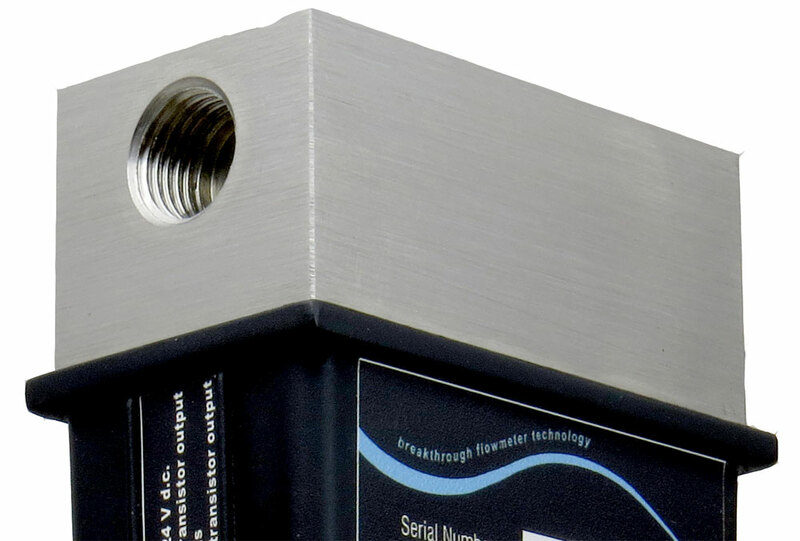 The Atrato Process is based on our standard, wide ranging, Atrato meter but packaged to address the more challenging process and control environment. The body is 316 stainless steel, rated at 20 Bar and the electronics are built-in and sealed to IP65. The only other wetted materials are PEEK and the customer's choice of elastomers. 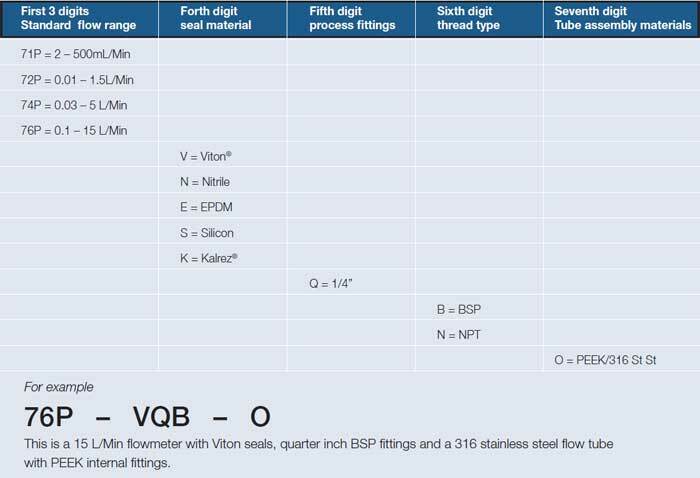 They are calibrated with a pre-set 'K' factor so all meters of the same flow range are fully interchangeable simplifying assembly and set-up procedures for OEM manufacturers. There are two adaptable frequency outputs, one PNP and NPN. Two multicolour LEDs indicate signal strength, power malfunctions and pulse outputs. 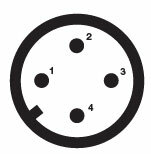 Electrical connections are through a standard M12, four pin, sensor connector. 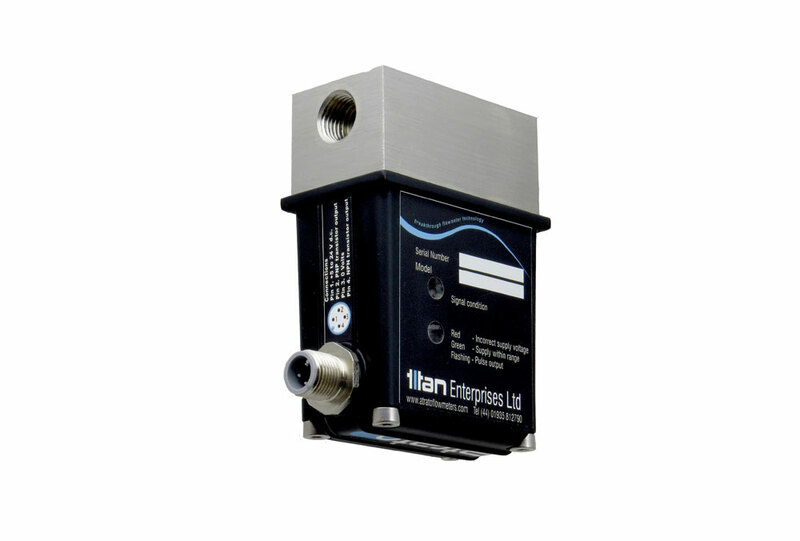 Four flow ranges are available from 2 ml/min to 15 litres per minute, accuracy is ±1% over the whole flow range. 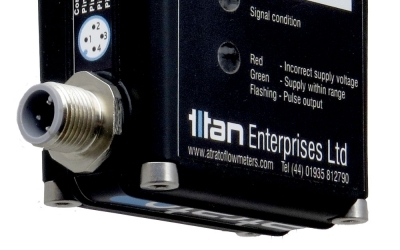 The Process Atrato represents a new generation of through bore time of flight ultrasonic flowmeters that uses breakthrough technology to offer a wide ranging yet accurate meter. 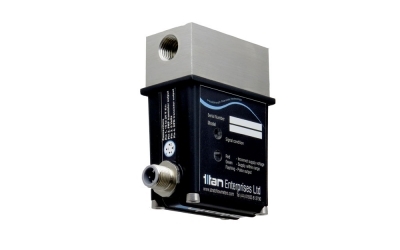 It is ideal for many process control, instrumentation and laboratory applications. The user must make sure that the flowmeter selected is suitable for the application and that the chemical compatibility, temperature and pressure requirements are within the Process Atrato's operating range. Please check the model number before proceeding. 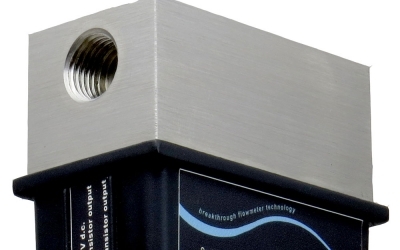 The flowmeter includes a 180° loop of pipe which has the potential of trapping vapour at low fluid velocities which will seriously modulate the ultrasonic signals. Position the meter either in a horizontal pipe or in a vertical pipe with the flow in an upward direction. 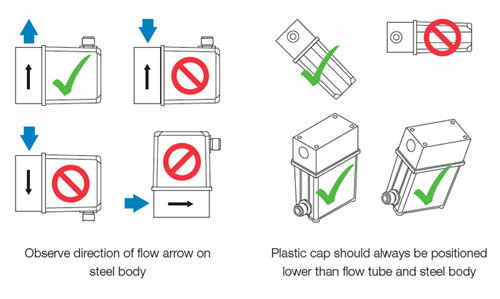 Take care to observe the 'Flow Direction' arrow on the flowmeter body. In a horizontal pipe ensure that the pipe connections are towards the top edge of the meter so that the majority of the body and hence the flow loop is below the line of the pipe. If vertical is not possible an angle of more than 30 degrees from the horizontal would be acceptable. (See diagram on page 6). Due to the internal flow path straight upstream and downstream pipes are not necessary. It is however good practice to install the device well away from valves, regulators, bends and other components that could cause excessive turbulence or gas break-out on the fluid entering or leaving the meter. Do not position the meter in close proximity to strong electromagnetic field or disturbances such as inverters, motors and solenoids. If necessary use spacer blocks and mounting clips to raise the pipe work away from surfaces. It is good practice to use upstream and downstream isolating full bore ball valves and a bypass to facilitate easy meter installation or removal. The Process Atrato must be installed in a positive pressure system. 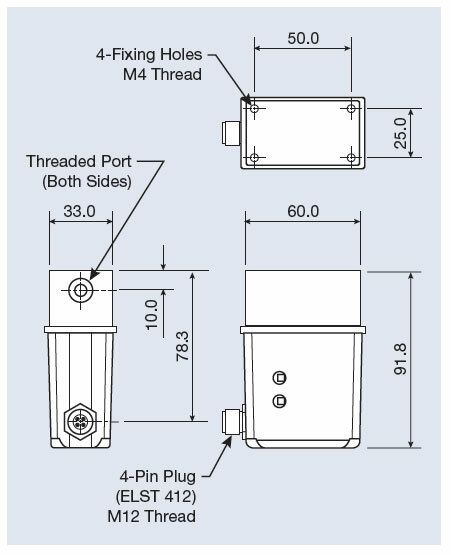 Ensure that there is sufficient back pressure on the flowmeter to keep any gas in solution. We recommend at least 500mbar plus two times the fluid vapour pressure at all flow rates. 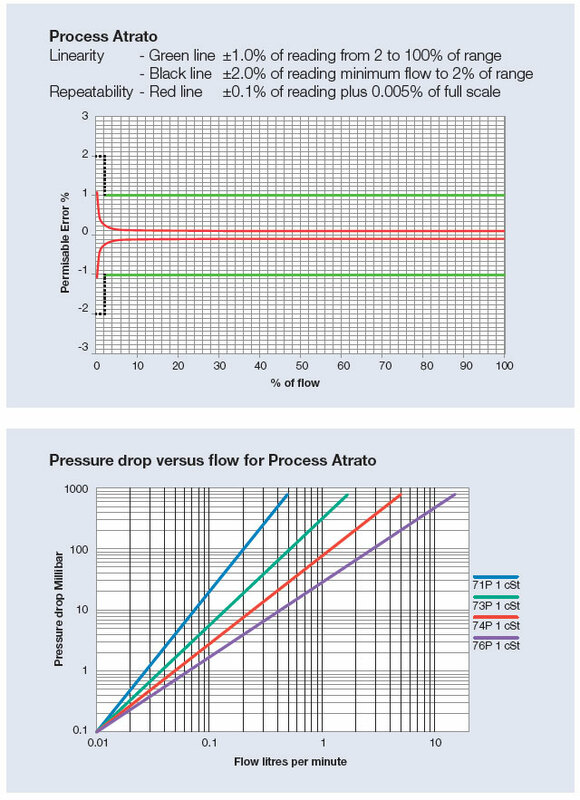 Lower pressures may result in signal loss at higher flows. Two multi-coloured LEDs display system information. If flow is present the LED will flash to show a pulse output. The rate of the flashing is related to the flow rate. Note. If the meter is subjected to heavy pulsations in the flow, for example from a diaphragm pump, it is recommended that a pressure regulator and a pulsation damper are installed up stream of the flowmeter. 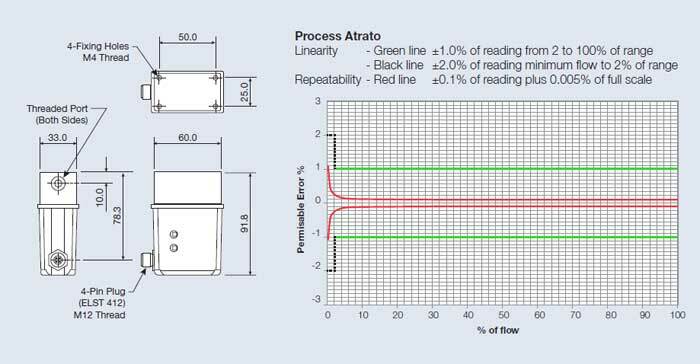 The Process Atrato's internal cycle time is not adjustable and should this measurement period coincide with, or be close to, the pulsations in the flow errors in the flow calculations will occur. Gases seriously modulate the ultrasound and should be avoided. 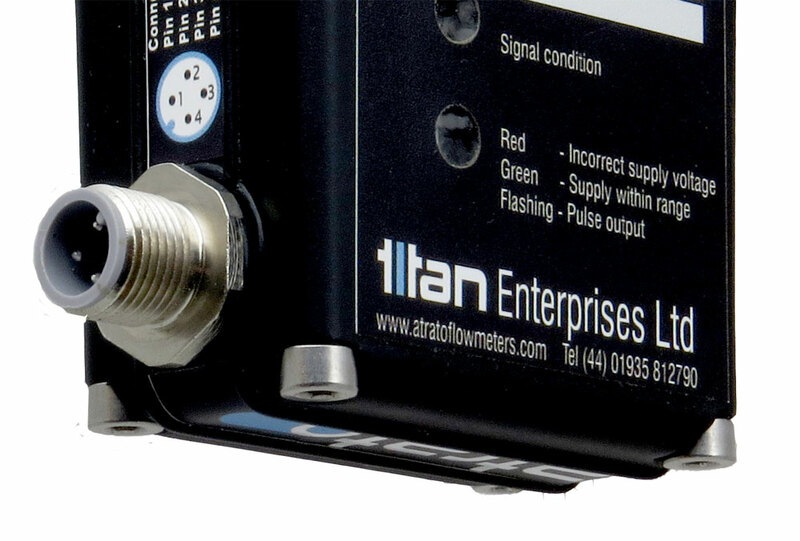 Always install the meter in a way that any trapped vapour can escape the flow measurement section. i.e. in a horizontal line with the electrical connection at the bottom or in a vertical line with the flow upwards. The meters are normally calibrated on water with a velocity of sound of approximately 1488m/s. The meters velocity of sound operating window is nominally 1488m/s ±30%. Should your process parameters exceed this please contact your local sales office as special calibration may be required.